The flowers are blooming, the grapevines are budding, and the Rosé is calling your name. But spring means spring cleaning (Marie Kondo, anyone?) and as you’re tidying up the rest of your home, don’t forget the most important part—your wine collection! We’ve pulled together some of our top tips for storing and organizing your wine that will spark joy all year. First and foremost, does your wine have a home? Storing wine on kitchen counters, on top of your refrigerator, and in miscellaneous corners and boxes is just not going to cut it! Why? There are too many variables. If you like to cook, your kitchen temperature is in a constant state of flux between the oven, steam from the stove, and the heat of the refrigerator motor. What’s more, this probably means you’re storing your wine upright, allowing the corks to dry out and contribute to premature aging. If you’re going to invest in your wine collection, it’s time to invest in a wine rack or fridge to store it. Whether your collection is large or small, giving your wine bottles an “assigned” location is a fun way to know what you have at your disposal. Begin by separating your wine into categories—start with sparkling, then move down the color scale to whites, pinks, and the various shades of red. In doing this, you’re sure to happen upon a few hidden treasures and some wines you may have forgotten about altogether! This makes your wine easier to locate on a shelf or in a wine rack and can help you see areas you’re running low (or maybe where you have a little too much). Wine is a living, breathing object that continues to evolve during storage. Therefore, each bottle has a lifespan—one that includes its youth, an aging period, and an ideal time for consumption. 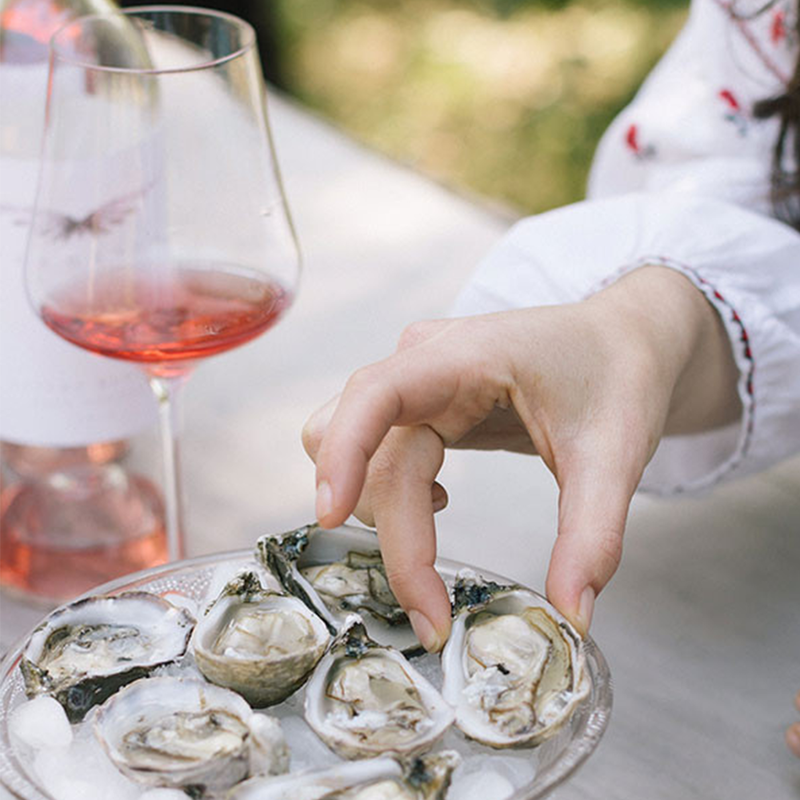 Certain wines like Rosé, whites without oak influence, and lighter reds should be consumed younger, while well-made, heavy reds can age for decades. Keep drink-now wines at eye level so you never miss an opportunity to drink a bottle during its peak and keep wine meant for longer storage high out of reach or near the bottom. If you have a wine rack or cellar that does not showcase each bottle, simply place the ready-to-drink wines toward the front! While this one may seem obvious, it’s important to keep your wine stored at a moderate temperature that is neither too warm nor too cold. The ideal range falls between 45° F and 65° F, as temperatures higher than 70° F will age a wine more quickly. Temperatures even hotter than that may result in “cooked” wine, which causes undesirable flavors and aromas. If you’re thinking your house sits at a temperature higher than 70° F in the height of summer, you’re probably right. If you don’t have a temperature controlled case or wine fridge, you may need to move your wine to a cooler area during the warmer months! Now that you have your collection properly stored and in order, what’s first to uncork? Personally, we’re ready to head outdoors with a crisp bottle of Sauvignon Blanc to celebrate spring in Napa Valley. Cheers!